In Q1 of 2019, WBR Insights, SparkPost, PFS, and SheerID surveyed 100 Directors of Commerce from across Europe to find out more about the challenges they face and the innovative solutions they bring to the table. The survey was conducted by appointment over the telephone. The results were compiled and anonymised by WBR Insights and are presented here with analysis and commentary by SparkPost, PFS, SheerID, and the eTail Europe community. 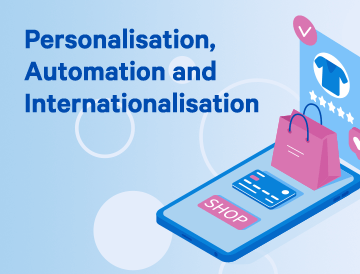 Download 2019 Trends in European eCommerce today.